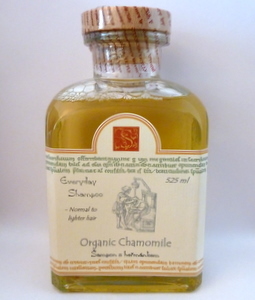 Particularly suitable for damaged, thin or tired hair lacking in vitality. 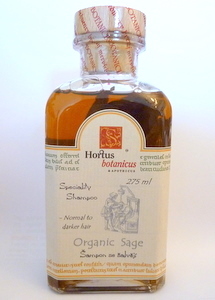 Strengthens and restores hair "Volume", due to its content of silica-rich Horsetail and Organic Nastatium herb. Delicately fragranced with natural essential oils. for a minute. Rinse and repeat it desired. For external use only. 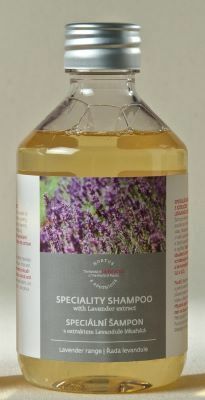 Suitable for normal to oily hair the shampoo is SLS-free and based on mild and tested vegetable-origin cleansers with high active levels of calming infused Bohemian Lavender flowers and a subtle, natural & refreshing essential oil fragrance including Lavendin oil. Apply to wet hair & leave on for a minute, wash off & repeat, if so required. For external use only. 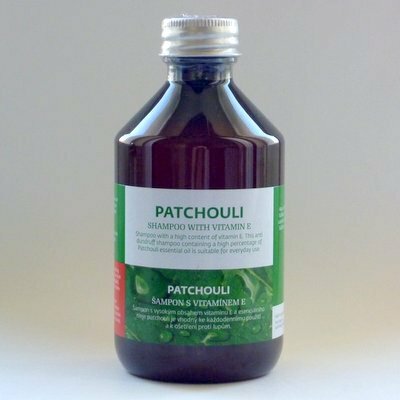 A soothing and calming shampoo with aromatic Organic Sage extract, particularly suitable for darker hair, greying hair -as it gives it a slightly darker tone- and normal hair requiring strengthening. A strengthening shampoo, with added fresh Organic Willow and Walnut extracts, for any normal or fragile hair type that requires conditioning. 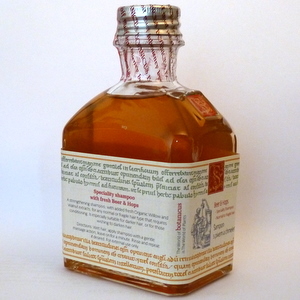 Is especially suitable for darker hair, or for those wishing to darken hair. A rejuvenating, relaxing & skin-toning Bath Form enriched with mineral-rich organic Arctic Seaweed extract and complex and haunting natural aroma of pure plant essential oils in combination including Madagascan Ylan-ylan, Sandalwood & West Indian Bay. 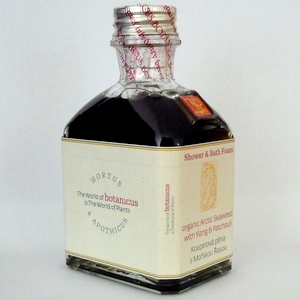 It is advised to shake the bottle gently before use to thoroughly disperse the plant oils, and then pour a desired quantity under running tap in the bath; or alternatively the product may be employed as a cleansing body rub in the shower. Suitable for damaged & tired hair. 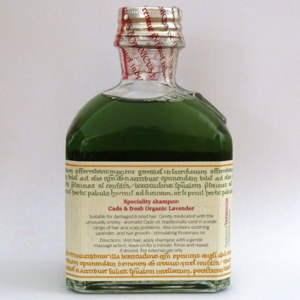 Gently medicated with the unusually smoky-aromatic Cade oil, traditionally used in a wide range of hair and scalp problems. 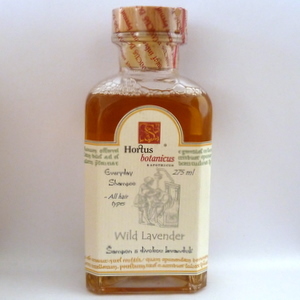 Also contains soothing Lavender, and hair growth-stimulating Rosemary oil. Directions: Wet hair, apply shampoo withe gentle massage action, leave on for a minute. Rinse and repeat it desired. For external use only. 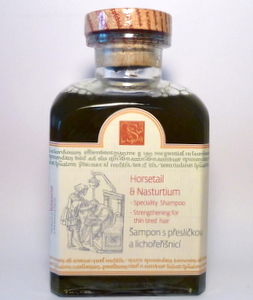 a mild and gentle shampoo suitable for all hair types and enriched with active levels of fresh organic herbal extracts including Portulaca and Lettuce to increase body and bounce, and organic Horsetail to stimulate hair volume. 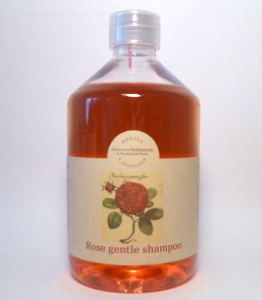 Naturally fragranced only by pure Rose oil and a careful blend of seven other cleansing essential oils. suits all hair types, and any condition. 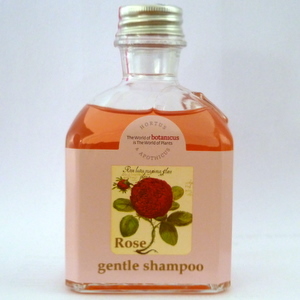 A gentle, aromatic, refreshing shampoo particularly for children, and for adults with fair to blond hair. containing calming Lavender oil and fresh Organic flower extracts.